Hello, vMix Call is what live streamers are looking for! 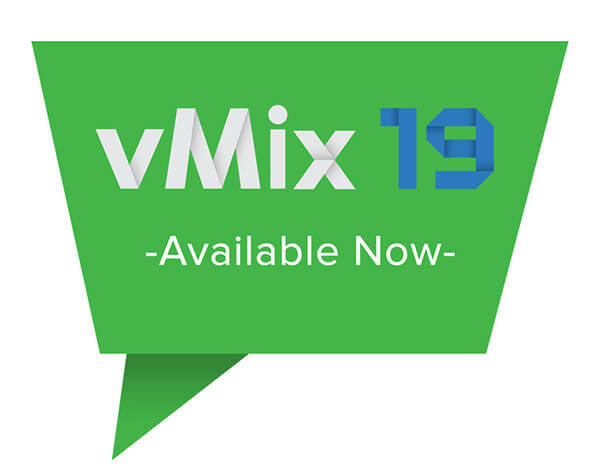 vMix has today announced the immediate release of version 19 of its all in one live production and streaming software. Included in this release is the much anticipated vMix Call feature which simplifies adding multiple remote guests into any live show by allowing them to connect from anywhere in the world using only a web browser and a webcam. Up to 8 guests are supported in the flagship vMix Pro edition, with lower cost options also available for 1 and 2 simultaneous callers. As live streaming booms, vMix continues to position itself as the go-to software for creating professional live broadcasting and streaming productions. The addition of vMix Call has taken the live streaming industry by storm, with unprecedented interest in the Beta. This was followed by numerous live streams from podcasters, broadcasters and hobbyists showcasing how easy it is to incorporate remote guests into a live show. "The response to the vMix Call beta has been overwhelming," says Martin Sinclair, CEO of vMix. "Customers have been amazed at how easy it is to add a remote guest given the difficulty of doing so with existing technology." Key to its ease of use is the built in Automatic Mix Minus support, which eliminates echo by ensuring each guest hears everything in the audio mix, minus themselves. Previous solutions have required the use of expensive appliances and complicated audio routing setups to achieve the same result. vMix Call is built right into the vMix Live Production software providing an all in one software solution for producing a great live show. Low Latency, Full Duplex Video and Audio up to 1080p for up to 8 remote guests. Dedicated web site at www.vmixcall.com allows remote guests to connect to vMix using only a Webcam and Google Chrome or Mozilla Firefox on Windows, Mac and Android devices. Automatic Mix Minus technology eliminates the need for complex audio mixing and routing. This technology seamlessly eliminates audio echo without sacrificing audio quality and additionally preserves Full Duplex communication. Fully customizable return feed allows sending each guest either the Output/Program feed or a custom feed such as a traditional Broadcast MultiViewer. Return audio can also be customized to allow for advanced features such as talkback and virtual green rooms. Pricing of vMix starts from just $350 USD for the HD edition with support for up to 1 guest.